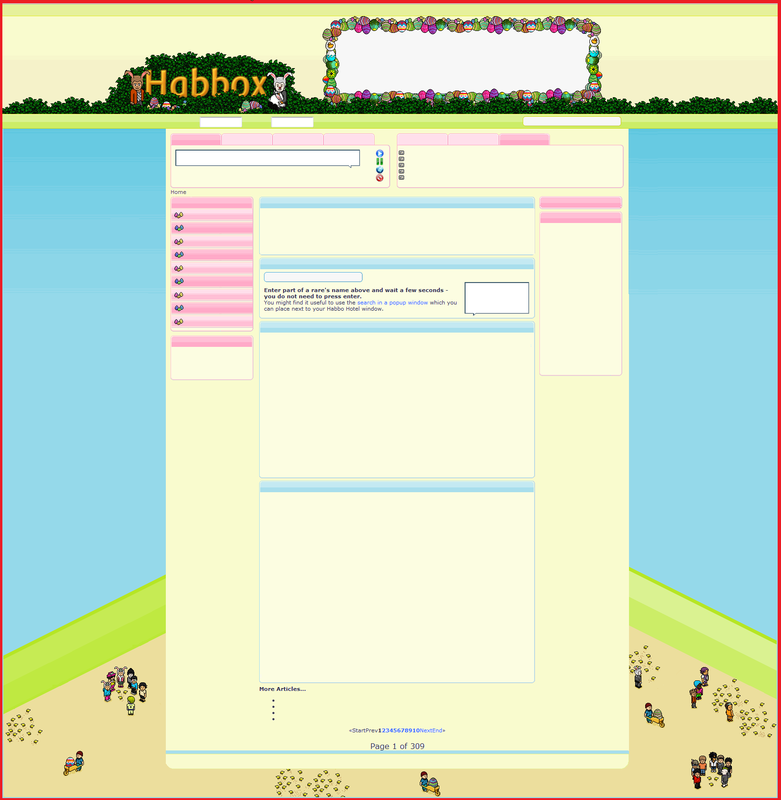 Habbox was founded in the summer of 2003 by a Habbo and former UK Hobba called Mizki. 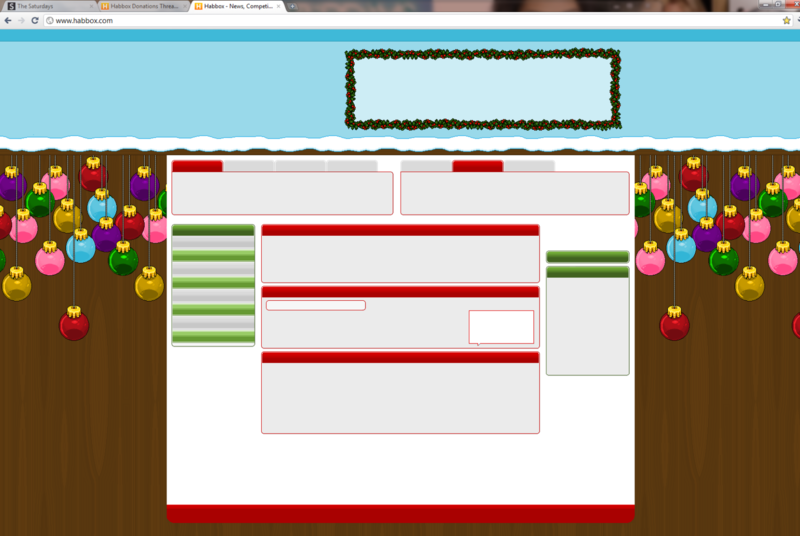 It started as a small project, but she soon started to realise that she needed other people to help her with the site. Sierk joined the team and quickly became more involved in the development, and soon after joining (in June 2004) was given ownership of the site. 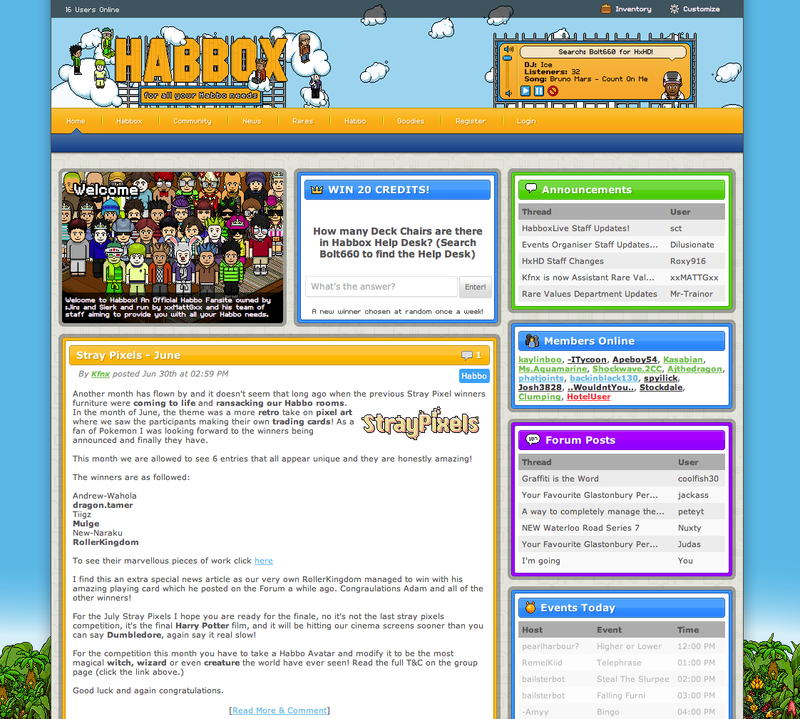 Habbox was one of the original fansites ever created for Habbo. Nearly ever since (when eligible! ), the fansite has held Official status, which means Habbo directly link to the site. From the moment it was opened, it has remained popular with players and its name still resonates with a lot of older members who remember its high standing, particularly due to values which many users relied on. In late 2009, another co-owner joined as Sierk started to become less active. This was :Jin:, who remained as an active co-owner for many years. In 2014, however, xxMATTGxx, a long-standing General Manager, was named as the third co-owner. 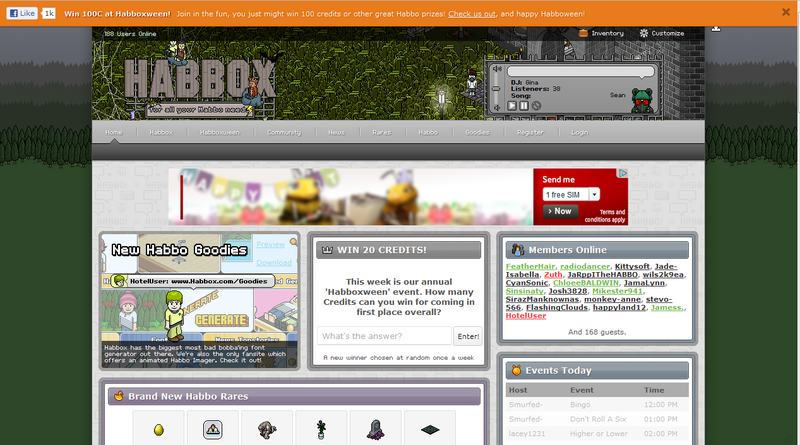 Almost from the day it started, Habbox has been a massive hit with Habbos. Mizki needed to have quite a lot of people to help run the site and keep the interest to ensure people came back time after time. One person who made the largest impact on Habbox at this early stage was none other than Sierk. He developed Habbox a lot from what was originally on offer and as he took a more active and managerial stance at Habbox, Mizki felt it was time to hand ownership from herself to Sierk. This paved the way for many brand new features, including rare values which have been the greatest legacy Habbox has ever made on Habbo. 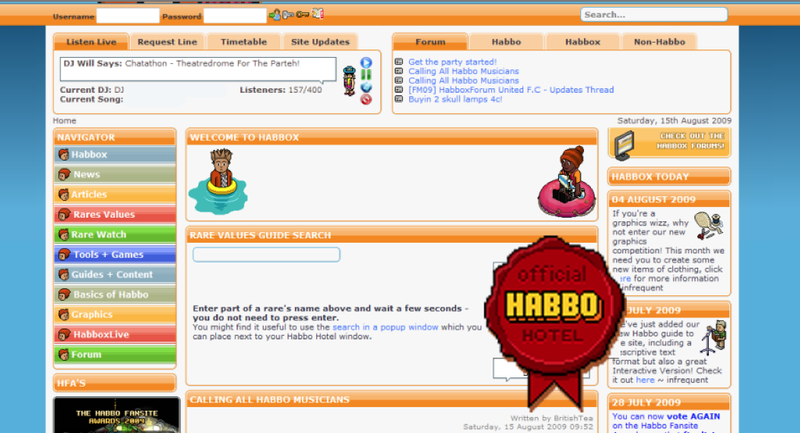 Under the management of the former Hotel Manager, Callie, Habbox became one of the first ever official fansites – barely a year after opening its doors to the great Habbo public! With this new-found acclaim came great rewards for Habbox. In the Habbo Awards of 2004 (with an astonishing 60% of the vote), Habbox was voted ‘Best Fansite’, with popular Habbo member and HxHD manager DJ-3000 also being named ‘Most Helpful Male’, and the radio named as ‘Best Radio Station’ of the year. Just a short few months after receiving these three amazing awards, Habbox, unfortunately, lost its official status as a fansite, due to an incident on HabboxForum involving several members and Callie. She said that Habbox would never regain that status – which you will find out to be untrue as you read on! After Habbox lost its official status it didn’t dampen any spirits! It continued as the UKs favourite and most popular fansite. Loyal users stuck with Habbox and they even gained thousands of more users. Over the next two years, Habbox started to grow and pick up strength. 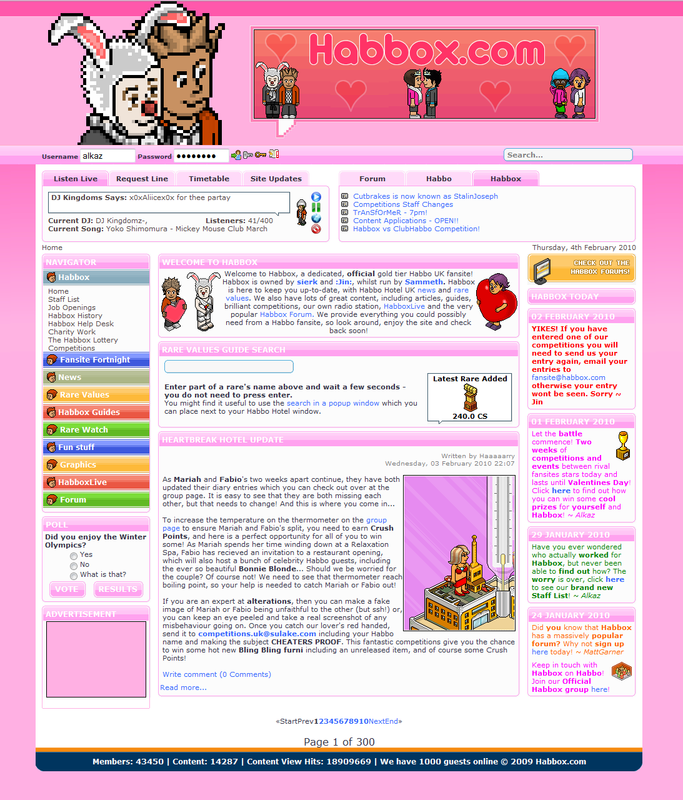 There were now three officially-affiliated sites with Habbox (HabboxLive – HabboxForum – HabboxWorld) all of which catered for many thousands of different people, from those who tuned into the radio and for those UK and international users who enjoyed chatting about Habbo, Habbox, real life and everything in between on the Forum. 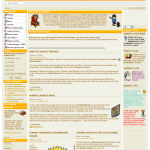 On the 9th May 2008, Habbox once again officially became an official fansite. This came a long while after the former Hotel Manager, Callie had left office and the then UK Hotel Manager Lost_Witness had taken her place. After almost three years without the official status, Habbo launched an application process for fansites to become official. The public voted for Habbox to regain its place on the list – but not only this, but it was awarded one of the new titles of ‘Gold Tier Fan site’, for being one of the two most popular fansites, along with ClubHabbo! From then, Habbox has kept it’s official fansite status (apart from when official statuses were temporarily removed). In September 2008, just four months after being voted Habbo’s number one fansite, Habbox was nominated for and also won the following awards: ‘Best Fansite News’ ‘Best Fansite Features’ ‘Best Fansite Forum’ and the most prestigious award ‘Best Overall Favourite Fansite. 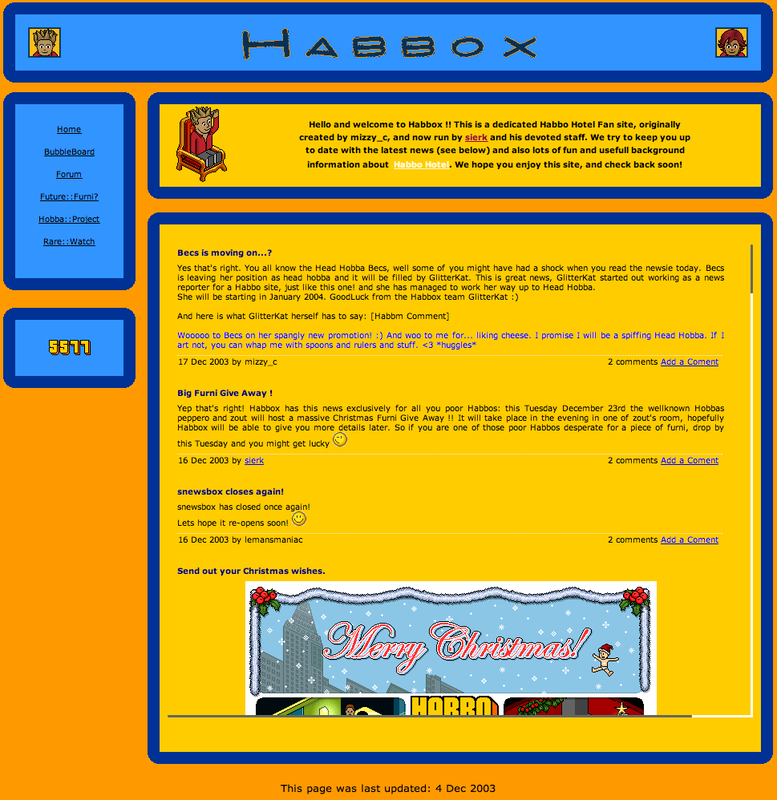 2009 saw the eagerly anticipated Version 4 of Habbox. Although some didn’t quite like it as much as Version 3 it was a welcomed change to an ever-changing face of fan sites which it would seem Habbox often forgot the change in sync with. 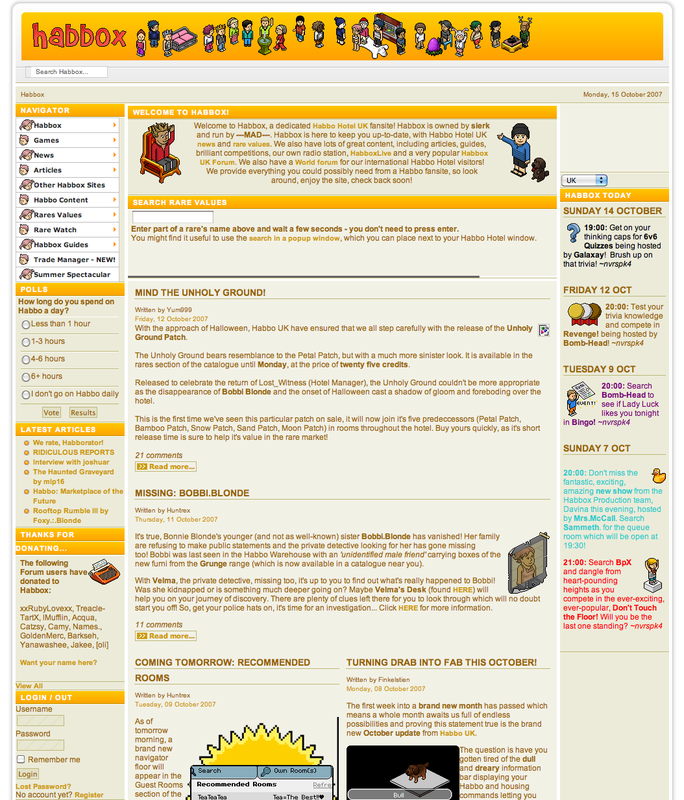 2009 also saw many management changes, more than there had ever been at Habbox. One of the most important and prominent changes was that of the long-serving member of staff, Jin. 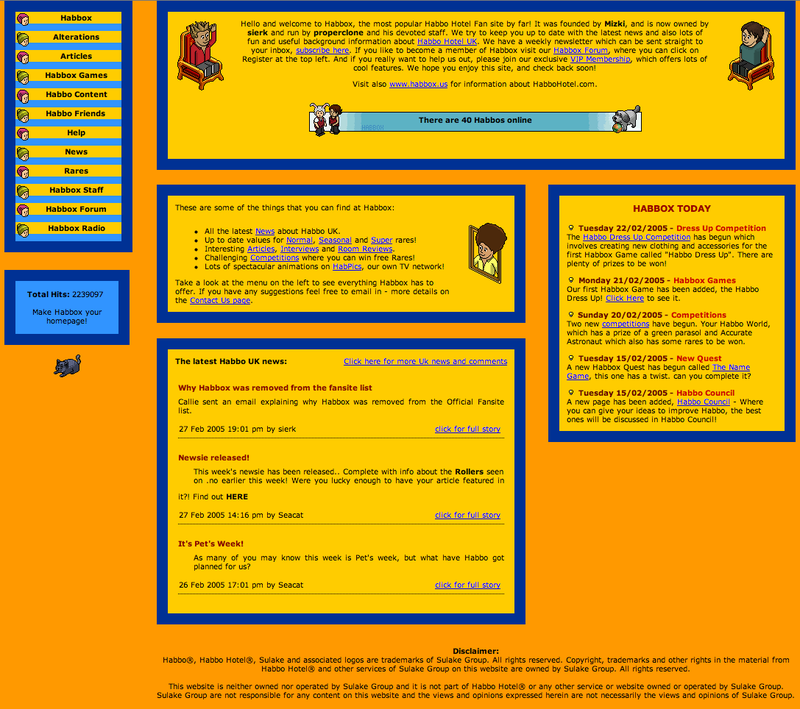 He had been staff for many years and also an administrator on HabboxForum, dealing with many site issues. In 2009, he became an Assistant General Manage, Acting General Manager then, a few weeks later, stepped up and became Co-Owner along with long time owner, Sierk. In 2010, after almost 5 years of the same system, Habbox got a totally new Rare Values system. The thing which had made Habbox so famous and useful was starting to become out of date and difficult to maintain with such a high volume of new rares to add and value. With the introduction of the Marketplace on Habbo, this helped Rare Values Management keep the values up to date as fast as possible. The summer of 2010 brought a massive change for Habbo which shook up fansites forever. Sulake decided that they needed to merge all English-speaking hotels (American, Australian, Canadian, English and Singaporean) into one. Habbox would now have to cater for thousands of new users that merger brought. Up until this point, Habbox had had little success with international affairs, but the staff managed to pull it off and recruit a fair amount of international staff – although, to this day, it is predominantly staffed and visited by UK and European players. 2011 was another year for big changes at Habbox. In March 2011, the eagerly anticipated Version 6 was released – version 5 being skipped as it happened somewhere between updates to Version 4! 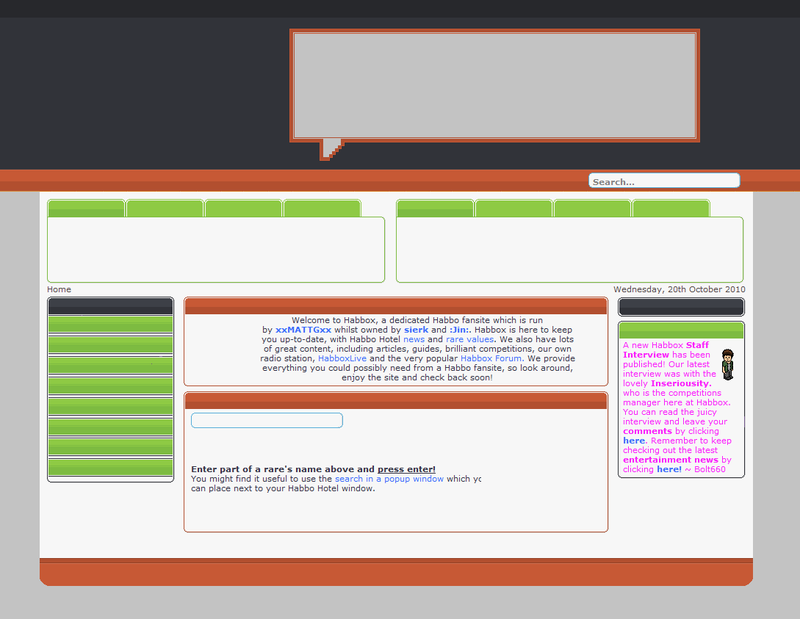 A massive team effort was made to successfully release it, and many users commented that was the best layout Habbox had seen. 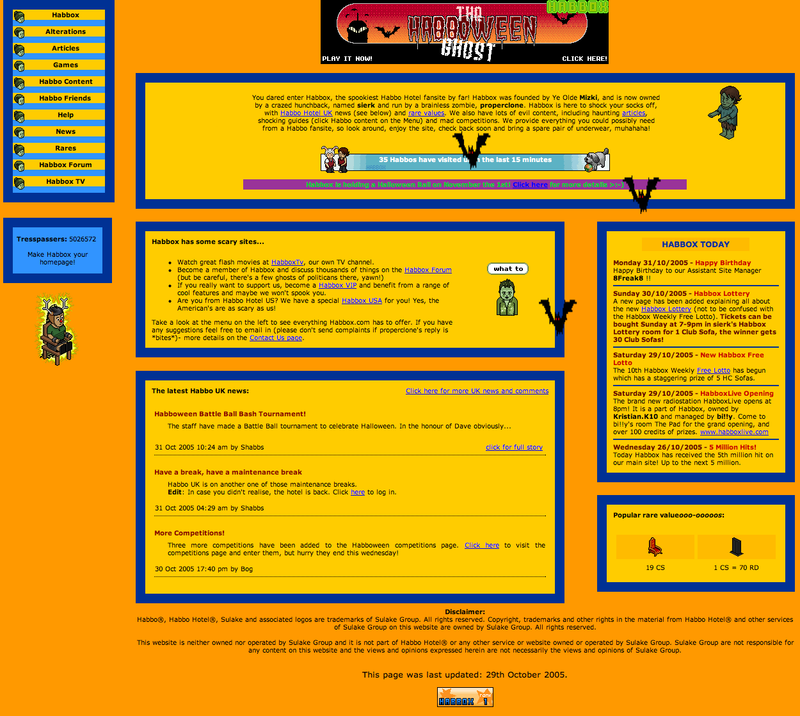 It also incorporated many brand-new features which no other fansite had seen, including moveable content boxes, widgets, interactive content and so much more. 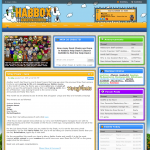 It was originally planned to merge HabboxLive.com into this version, but staff changes prevented this. The new version of the website allowed many departments to expand greatly and change what they offered to the community. The Version 4 system was widely regarded to be outdated and difficult to use, and Version 6 brought a lot of change to almost every department. However, work began very quickly on a new version once again! Version Seven began to be designed in 2012, with an original planned release in 2012. Delays due to staff members once again halted the project temporarily and many different people were drafted in to help. This continued for the next two years, with coders working on the project for a while before leaving as staff or becoming too busy to complete the project. Much like Version 4 became outdated and hindered many departments’ progress or ideas, Version 6 became like this too. Simply not understanding code, panels becoming outdated and changes on Habbo all led to the site becoming more confusing to use and keep updated with Habbo. xxMATTGxx handed over the General Manager reigns for Wispur on the 8th of October 2014, and one of the first projects Chris undertook was hiring new site coders who could dedicate themselves to finishing the project. Soon after, work began again, moving more quickly than it ever had before. Version Seven was finally released for BETA users (managers and some selected staff members) in Spring 2015. It had it’s official public release on 4th July 2015. The 3-year delay left many users feeling underwhelmed, but while the site is far from finished, it allows many departments to move on while the team of site coders can work on new features, which are expected to be added to the site regularly over the coming months and years. On the 13th March 2017, Habbox had seen long standing Co Owner xxMATTGxx exit from his position after dedicating 11 years to Habbox. He is no longer as active on the forum, and once again the General Management team are made responsible for the day to day running of the site. Enjoying reading? You can find out more information about Habbox.com by clicking here.